As Sky gears up for a partnership with O2, the telecoms sector looks set for an M&A war. Quad-play. It's a boring term, but one that can be used to explain the rapid consolidation in the telecoms sector in the coming months, as the big players move to provide phone, broadband, TV and mobile all in one handy low-cost package. It's been a big hit on the continent and Virgin Media has been offering it for years (albeit without its own mobile masts), but it's yet to catch on in a big way in Britain. That could all be set to change though. Last month BT, which already offers TV, broadband and home phones, confirmed it was in exclusive talks with the UK's biggest mobile network, EE, to acquire it for a reported £12.5bn. If regulators wave the sale through then it would create a behemoth with around 25 million mobile customers and around a third of the broadband market. The move will be cause for concern among BT's competitors – hence why some of them have been raising concerns with Ofcom over the intricacies of the deal. The acquisition will probably go ahead, but wrangling could buy the likes of Vodafone, TalkTalk and Sky the chance to consider their next moves. The first of these seems determined to remain a big and independent player. Two months ago Vodafone confirmed plans to launch TV and broadband services in the spring. And as recently as November, Ronan Dunne, chief executive of mobile network O2 (owned by Spain's Telefonica) poured scorn on the idea of quad play. 'Isn’t that two people in the playground saying mine’s bigger than yours? What’s the customer proposition?' he said. It looks like his bosses in Madrid may have other plans - they were in talks to sell to BT late last year and since then have been showing some leg to a number of other potential suitors. 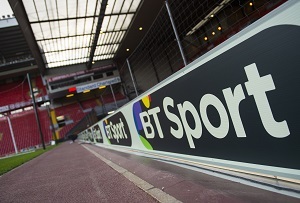 Yesterday it emerged that they had been talking to Sky, BT's big rival, about some kind of tie-up. A sale to Sky, rather than another mobile provider, could be more agreeable for regulators as it would avoid cutting the overall number of mobile operators. But Sky would need to come up with the money first, and given its recent £5bn acquisition of its Italian and German counterparts, that might be a bit tricky. Instead it's thought to be considering a strategic partnership - we sell yours, you sell ours, and so on. Telefonica has also considered selling O2 to Hutchison Whampoa, the Hong-Kong based, deep-pocketed owner of Britain's smallest mobile network, Three. Such a deal would create a massive player in mobile, but one that could be in trouble if demand for quad-play contracts really does take off. There's also the possibility that it could be sold to TalkTalk, which currently has no masts but runs its mobile offering via O2's network (handy eh). Whoever pursuades Telefonica to give up the goods, MT expects the telecoms market to look very different this time next year.